It’s summer time and possibly you’re already thinking about the vacations you’ll be taking and the many selfies you will click. The best selfies come out when you have that happy smile, but what if your lips are not behaving that well this summer? Did you know that just as your lips tend to crack in the winters, they are also prone to cracking and other problems in the summer? Instead of letting it kill your perfect smile and your perfect picture, here are a few tips that could help. You could actually be damaging your lips and making them drier by licking them all the time! When you lick your lips, they get covered in saliva. This dries out very fast and leaves your lips feeling drier. Also, saliva contains enzymes that can be very harsh on the delicate texture of the lips. A simple trick to remember to exfoliate your lips every day and to remove any dead skin cells is to use your toothbrush once you are done brushing. Wet the toothbrush and gently massage your lips with it. Don’t be harsh though as else it can hurt your lips and cause them to bleed. A lot of the lip care products and lip balm can actually be damaging for your lips, especially when you use them on a daily or regular basis. One natural ingredient that can really help you is coconut oil. 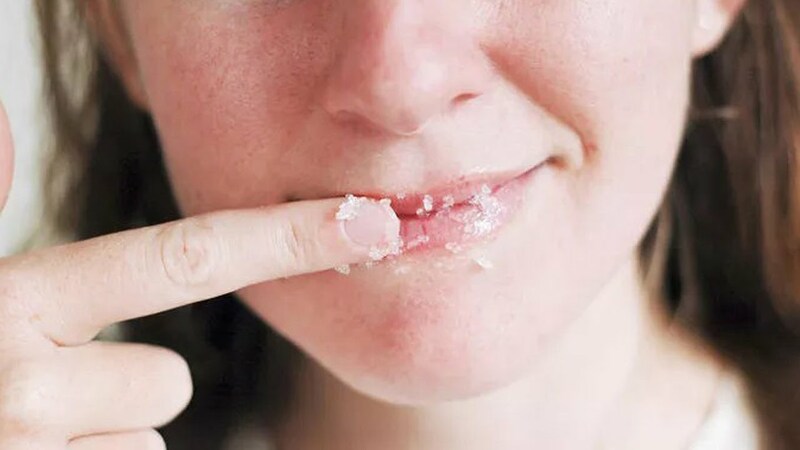 All you need to do is take a dot of coconut oil and massage it gently on your lips. You can leave it overnight and also use it in the morning, before you put on a matte lipstick. Alternatively, you can use olive oil or malai too. If you love wearing lipsticks, you have more reason to wear them now. Adding a layer of your favourite colour on your lips adds a layer on top of the lips, so that they are not directly damaged by the pollution and the sun. You can also look for lip colours that come with SPF. If you are wearing anything on your lips other than a lip balm, make sure to take it off before you get to bed at night. Leaving it on will further dry out your lips, and the product will also settle in the cracks of the lips. In addition, drinking water through the day will prevent your lips from chapping or drying out due to dehydration. Read Also: Want A Beach Body Like Emma Watson This Summer? Can You Miss Your Periods Without Being Pregnant?